Central Tool Fasteners is the sister company of Central Tool Specialties. At Central Tool Fasteners we have over 50 years of experience in manufacturing an exceedingly wide variety of hardware and fastener products. 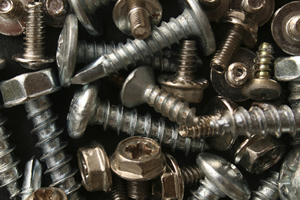 We produce a wide variety of products such as washers, nuts, bolts, cap screws and so much more. 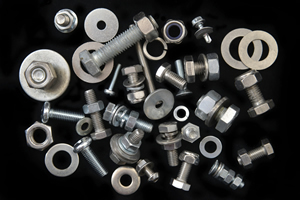 Our fasteners come in a variety of different materials, so it is a relieving process when our customer’s make a request. We have the capability to manufacture custom hardware in house by our strong products lines, which insure low prices and quick turnarounds. Much of our hardware can be shipped the same day of a request, due to our inventory on hand. Central Tool Fasteners products have a wide variety of uses. Our products are great for connecting two or more objects together while keeping together the sides of flexible and nonflexible material. Our fasteners serve the purposes in industries such as assembly manufacturers, construction companies, and even utility companies. The great part about our fasteners is they are of great quality, have a quick turn around, and reasonably priced.